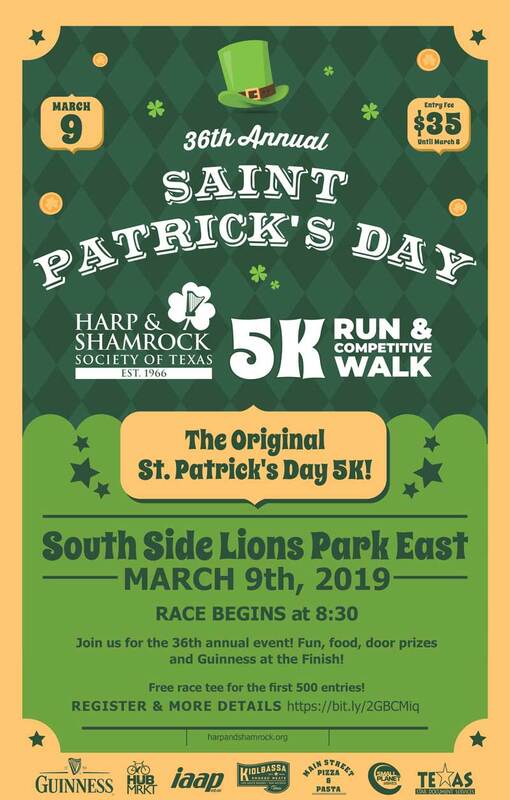 The Harp & Shamrock is the proud host of the City of San Antonio's biggest and best celebrations. GREEN TEAM: This is a non-participating category that supports the event. Entrants receive a race tee for $25.00.